James Murphy appeared at NYU’s Skirball Center May 27th as part of this year’s Red Bull Music Academy, acting appropriately as the congenial elder statesman in front of a young audience. 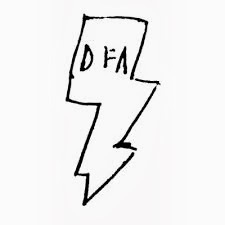 He spoke of the early days of his band, LCD Soundsystem, and record label, DFA, when things moved much slower in New York City with “horse-drawn internet.” Now DFA has grown out of its tiny homegrown beginnings, but Murphy explained how they “always wanted to do what we liked.” A huge party at Brooklyn’s Grand Prospect Hall celebrated twelve years at the label, with many DFA bands in attendance “all super psyched and honored” to be there, according to Murphy. (His 90 minute dj set from the party is available to stream online here.) When sparse applause answered Murphy’s question of who was also there, he likened the sound to Steve Reich’s clapping piece. Having folded LCD Soundsystem in 2011, Murphy is now busy producing (Yeah Yeah Yeahs, Arcade Fire), and writing music for film as well as a play (solo piano!) He rarely posts on the band’s Facebook and only posts on twitter to say he doesn’t tweet, because “it becomes white noise if you don’t have something to say.” So the crowd was eager to hear him espouse about music today and the creative process. Seated comfortably on a couch surrounded by band road cases, Murphy reached for water (not the Red Bull on a side table) to soothe a cough he says was picked up by “flying” and answered questions thoughtfully and unhurriedly. His shaggy hair and beard have now completely changed over to whitish gray, as he donned a suit jacket with jeans and white sneakers. With LCD Soundsystem, Murphy simply stated that they were “never meant to be a band.” He asked friends to play on his songs, which eventually turned into a tour and it all somehow lasted a decade. Murphy talked about early gigs at the Plant Bar (capacity around 75), where it was illegal to dance without a cabaret license, since “that’s how we kept New York City safe” back then. LCD’s first song, “Losing My Edge,” came out as a single in 2002, but it took time to get out on tour and produce the self-titled debut album, released in 2005. There were a few band rules, set up since Murphy “didn’t want to be one of those bands that you end up hating.” These included pet peeves such as asking the crowd if they’re having a good time, encores, or overdone expressions referred to as “feeling it.” The rule about no sunglasses had to be repealed a few times in overly sunny locales or with setting suns on the horizon. The easiest song for Murphy to write was the very first, “Losing My Edge.” But the hardest was either all the songs on the second album, 2006’s Sound of Silver, except “New York I Love You,” which was a song he sang to himself for years, especially during tough times living the urban life. Or it was “Dance Yrself Clean,” a seventeen-minute song that was edited down to nine minutes. (Revisit this song live as it began the band's first night at Terminal 5 March 28, 2011 on the NMMatterscorp YouTube page, our top video with almost 9,000 views. Write up of the entire night with more videos here.) Unfortunately, Murphy blew his voice out recording this last song for 2010’s This is Happening and had to go on a course of steroids to remedy the situation. It’s clear that Murphy will continue to play a part in the music scene on his own terms. After selling out Madison Square Garden (as captured in the movie Shut Up and Play the Hits), he seems to be still catching his breath. However, he admitted to writing songs everyday and new equipment options in sound production continue to intrigue him. “I’m not a tree that falls in the forest,” Murphy declared. “I make music as a form of communication.” So thankfully, we can count on hearing a lot more from him in the future. Full interview on the Red Bull Academy Vimeo site here.